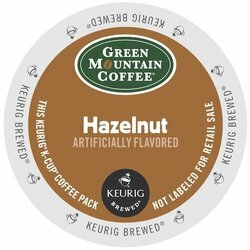 Green Mountain Coffee - Hazelnut - K-Cups. A buttery and sweet coffee with the rich flavor of warm roasted nuts. Each box contains 24 single serve K-Cups.